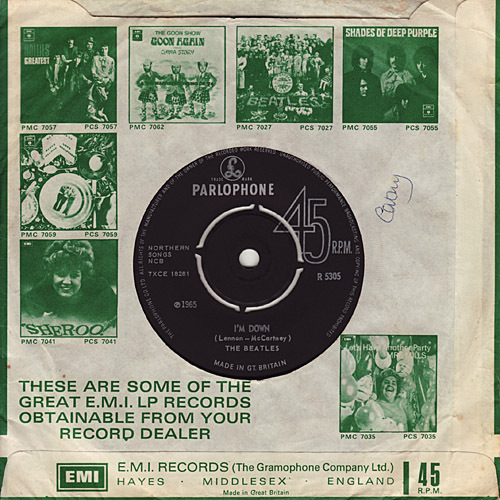 The changes in company sleeve designs were similar to those of the other EMI labels and the changes between the different designs occurred at approximately the same times. There were no picture sleeves for the singles in the MSP number series. For the (45-)R-series there were a few promo picture sleeves and probably only two singles released with picture sleeves before 1975. Both of these picture sleeves are The Beatles' singles. 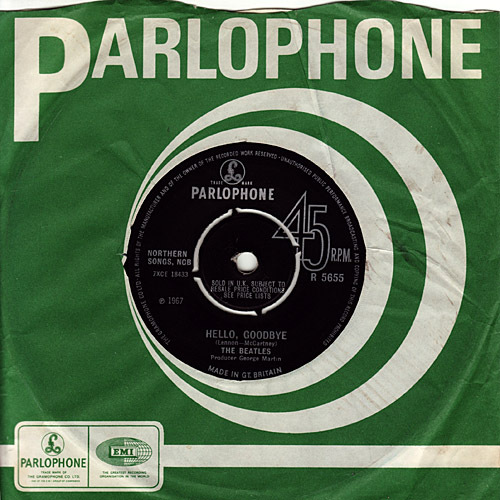 Green sleeve with Parlophone logo and globe EMI logo, and swirl. There were at least two different backsides design (advertising different LPs). There were no new singles. Wave cut Type-B at top. Glued bottom and right. 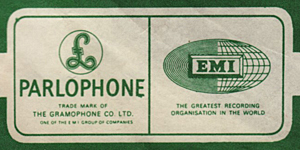 "TRADE MARK OF THE GRAMOPHONE CO LTD." below the Parlophone logo on front. 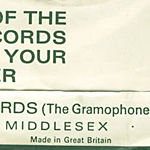 "EMI LPs" advert on back, issued in which advertised the latest EMI albums. 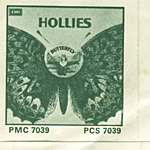 The Hollies: Butterfly (PMC 7039) /Nov.1967 etc. Tab cut at top. Glued bottom and right. 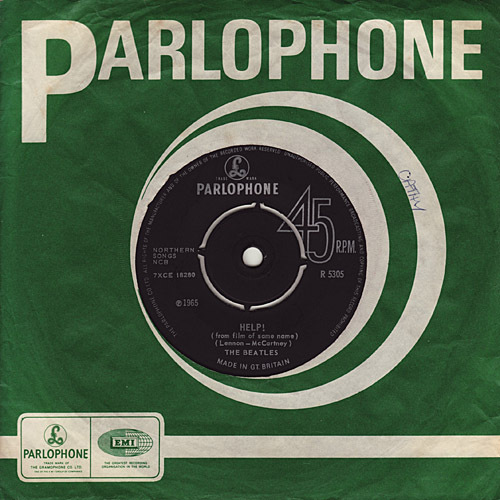 "TRADE MARK OF THE GRAMOPHONE CO LTD." below the Parlophone logo on front. 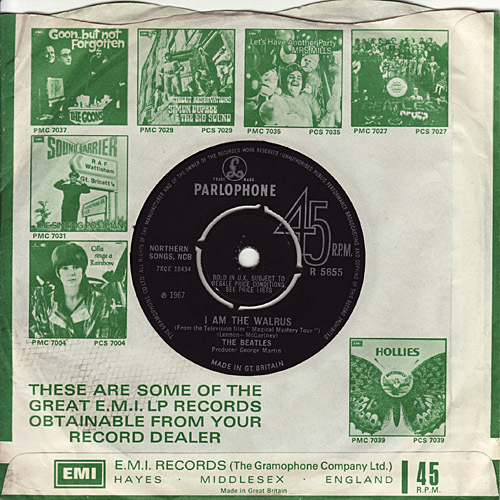 "EMI LPs" advert on back, issued in which advertised the latest EMI albums, including the Beatles own "SGT. Peppers". 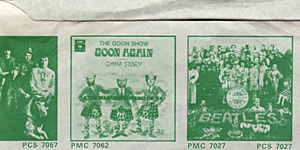 The Goon Show: Goon Again (PMC 7062) /Oct. or Dec.1968 etc.